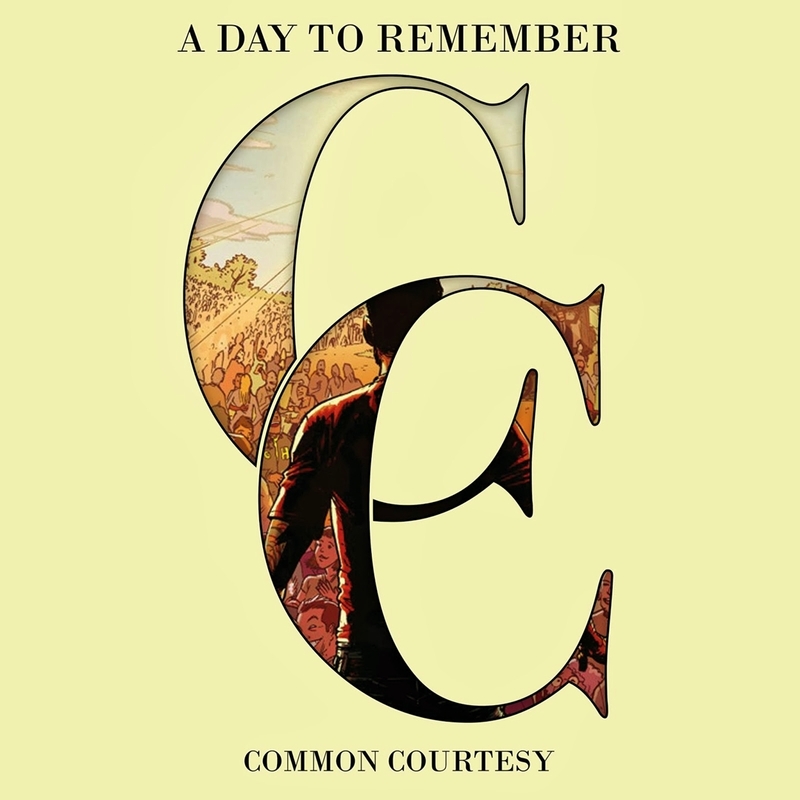 While plenty of metalcore bands have injected melody into their sound, few have taken the idea as far as A Day to Remember, a band who have made a name for themselves by tempering the menace of their metal side with a yearning that borders on pop-punk. Now, fresh out from under a deal with Victory Records and self-releasing their albums, the band's fifth effort, Common Courtesy, seems to push this sound even further. While the band's sound has always had a certain soaring quality to it, there's an unfettered feel about the album that feels refreshing. A Day to Remember have always been doing their own thing, and now that they're not answering to anyone but their fans and one another, they're free to make the music they want to make on their own terms. This comes through in little ways, like in the snippets of studio banter that have been left on tracks, giving fans a window into a creative process that sounds fun and relaxed. Aside from the general feeling of freedom, Common Courtesy once again puts the band's talent on display, showing off their impressive versatility as musicians and songwriters as they casually drift from punishing metalcore breakdowns to singalong choruses on songs like "Dead & Buried." Lots of bands have a hard time just getting the basics right, so when a band like A Day to Remember come through and nail every genre they care to throw into the mix, it's a feat that's worth paying attention to, and given these guys' ability to tackle so many different sounds, it's hard not to find something to like here no matter where your tastes may lie.